Holt Renfrew has a nice little bonus available! 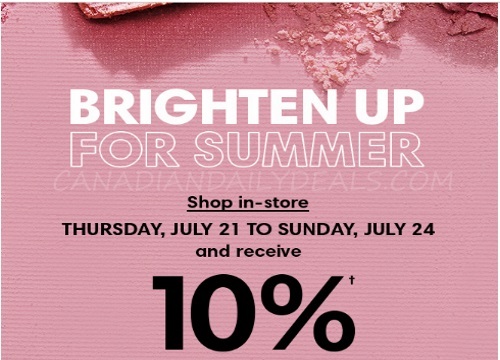 Shop in-store for beauty products and get 10% of your beauty purchases back onto a Holt Renfrew gift card redeemable now until August 21, 2016. This offer is valid Thursday, July 21-Sunday July 24, 2016. Click here to find a Holt Renfrew near you.